Pinecam.com • View topic - Mountain Resource Center Annual Children's Holiday Party! Mountain Resource Center Annual Children's Holiday Party! 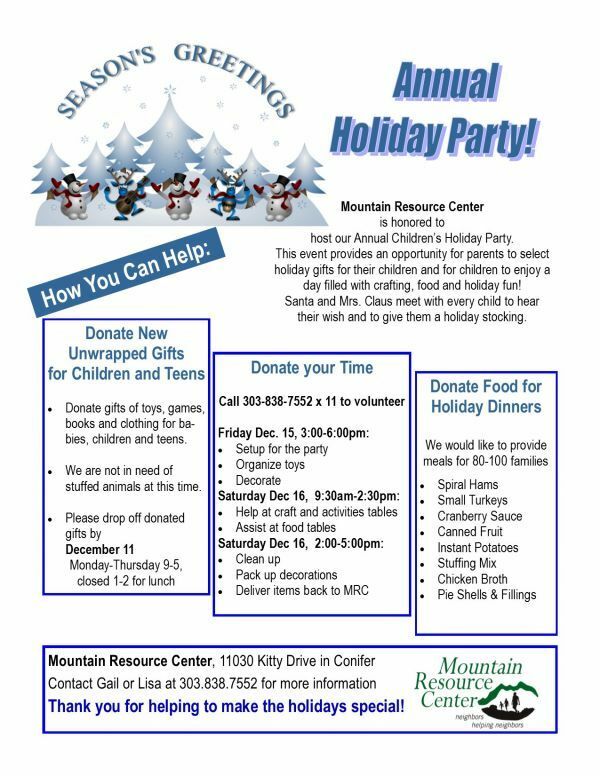 Post subject: Mountain Resource Center Annual Children's Holiday Party!